Our guesthouse is called Casinhas da Figueira. Most people when they hear this name for the first time they cannot even pronounce it. Let alone figure out what it means. Therefore this post is about why our guesthouse is called the way it is. The name is Portuguese, we wanted a portuguese name because we wanted to create a local, traditional atmosphere. Casinhas means, translated into english, little houses. This is the perfect word for our guesthouse since we have 4 houses joint together in one garden. Figueira is the name of the village that we have our guesthouse. Not such a creative name you could say. 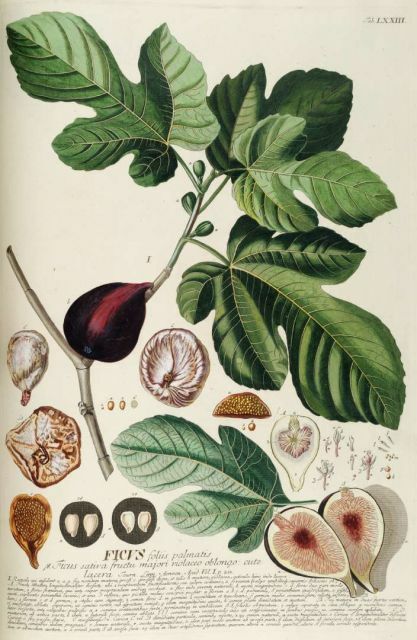 But we liked it a lot because Figueira also means fig tree. Fig trees are very common in Portugal, they grow everywhere. Their delicious fruit are used for many different purposes. Fig jam, dried figs, fig chutney, fig cake etc etc. And although we don’t have a fig tree in our garden (one of the few we don’t have) we feel that our house is strongly connected to it. Because of the village and because of the big amount of fig trees all around us. That’s why we chose the name Casinhas da Figueira (little houses of the fig tree)!